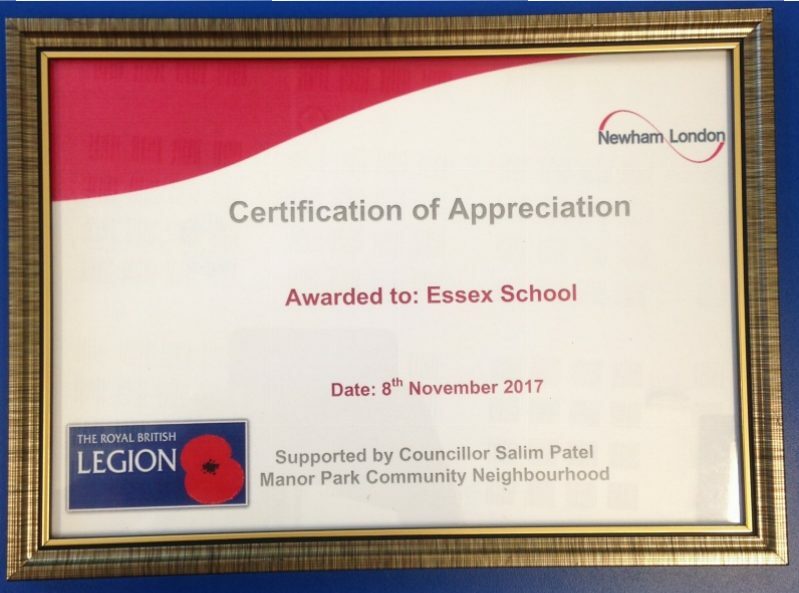 Essex Primary School were honoured to be invited to the Manor Park Remembrance Ceremony by Salim Patel, Lead Councillor for Manor Park and East Ham Community Neighbourhoods. 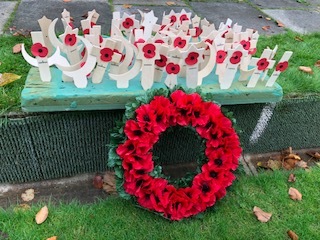 Four children from Year Five composed this moving poem together and read it at the ceremony. We died in the trenches of Passchendaele. Cutting hot metal into my heart. Waving to the soldiers in the breeze from the fields. A sudden bright breakthrough of sun.